Lovely! Noah cuddling his sister. Ava looks thoughtful. Avaa's eyes look dark, are they brown. She seems to have darker hair than Noah. Maybe she has some of Nick's attributes (her Dad). This is a gorge photo. 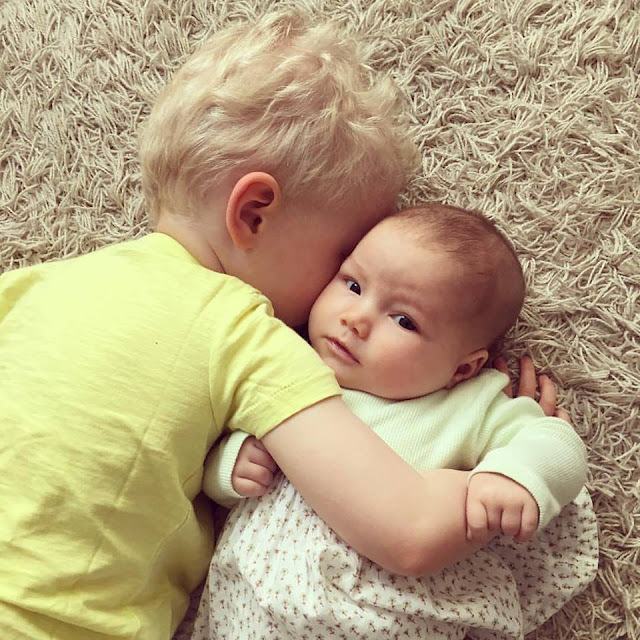 Lovely to see how much Noah loves his baby sister! Aw! Such a cute photo! Like Noah's T-Shirt, really nice colour for Spring and Summer.